Culture and language have often been described as inseparable and the relationship between them is highly complex. Language isn’t just the sum total of words, grammatical principles and sentence construction, but also unique cultural norms, social systems and cognitive processes. Understanding these cultural-specific contexts along with linguistic principles of a particular culture is central to effective language acquisition. The evolution of language is often shaped by the culture of the particular group who speak it. If you truly want to master a second language, knowledge of cultural contexts that underpin the language you’re learning can provide you with invaluable insights into certain phrases that are often spoken by natives of a particular cultural group. The same could also be said for learning about other cultures. Take the ancient Egyptians for example. It would be a challenge to gain a deep understanding of ancient Egyptian culture without learning about their native language and Egyptian hieroglyphics, in tandem. The two are always connected no matter what side of the coin you look at. 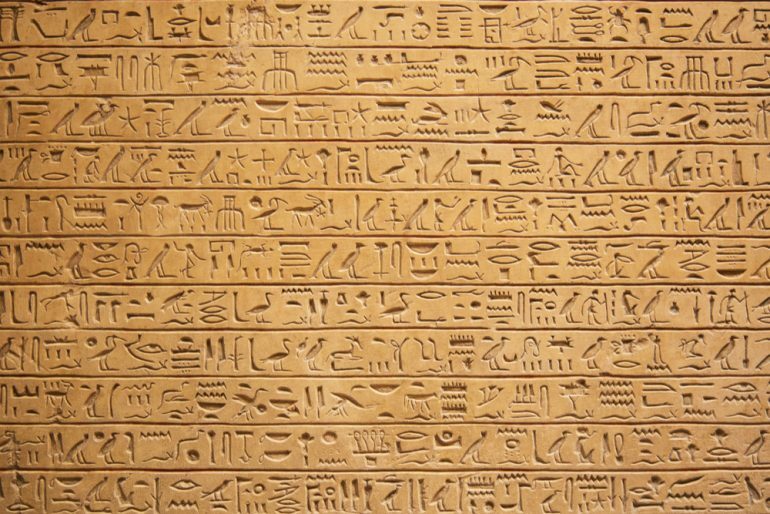 Egyptian hieroglyphs were the formal writing system used in Ancient Egypt. Consisting of up to 1000 characters, these hieroglyphs combined logographic, alphabetic and syllabic elements. When it comes to language acquisition, phrases, idioms and unique cultural concepts are known to be difficult to translate as they often don’t exist in some languages. It’s one of the reasons why word-for-word translations of these concepts usually result in cumbersome or inaccurate sentences and require adaptation by a native speaker or professional linguist. That’s why brands who want to engage audiences in different markets take their time to adapt their marketing strategies, tone of voice and even their products to suit local customs in order to increase their chances of success in individual markets. Other culture-specific language differences include countries that have different meanings for similar phrases. In European cultures, for example, the phrase ‘a good day’ is often referred to as a sunny day, unlike some African cultures where it implies a rainy day. In this case, the term ‘good‘ is interpreted differently by the two cultures. Communicative misunderstandings can often occur between two people from different countries due to an ignorance of opposing attitudes of particular social norms. Words, gestures and rules of engagement have a tendency to be misinterpreted, such as how you should express politeness. In order to prevent cultural misunderstandings that could leave two parties fumbling their way out of an awkward conversation, the promotion of cultural understanding is vital to language learning – especially if you’re conducting business meetings in another market in their native tongue. In some countries, such as Sweden, it’s customary to keep some distance between one another when speaking if you’re meeting someone for the first time. Touching the other person is often frowned upon. In Germany, initial conversations are usually formal and polite – addressing someone with the Mr/Miss/Ms prefix followed by their surname. In Japan, business meetings follow a unique structure where priority is given to the most senior members of the meeting including seating arrangements. What should be mentioned, what shouldn’t be mentioned and how much should be verbally spoken, greatly differ between Japanese and US or UK cultures. In fact, Japanese culture is known for its politeness and, notably, its relationship with silence. 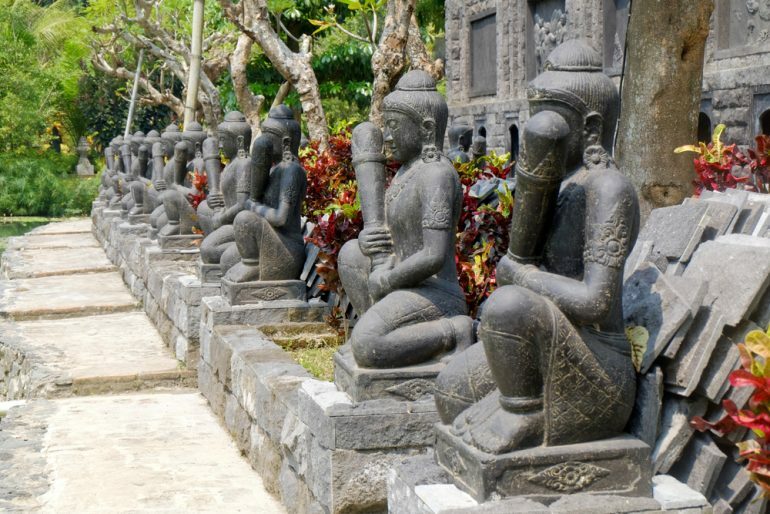 Historically, silence has been associated with truthfulness – a belief which originated from Zen Buddhism, where silence is considered a path to enlightenment. While the idea of silence in social settings may seem fairly ambiguous from a Western perspective, understanding the complexities of politeness, silence and being conscious of what you say can be a useful linguistic tool when learning Japanese in its native setting. Zen teaching advocates for silence as a way to true enlightenment as oral expression is believed to be superficial, if not superfluous, and aids as a barrier to the comprehension of Zen. Gestures and distinctive changes in tone of voice are also worth noting, as they too can impact the meaning of particular phrases. These cultural nuances are typically learned naturally by natives by mimicking their parents during childhood and practised over a number of years. While common gestures such as a handshake or a smile might have the same meaning in several cultures, there are others that are open to interpretation. In Iran and parts of the Middle East, giving a thumbs up during a conversation (or in a crowd) is considered the equivalent of giving ‘the middle finger’. Slurping your food in Western countries is considered rude but in Japan, it’s an indication that you’re enjoying your food. While in the Philippines, beckoning someone with your fingers is seen as a gesture fit only for dogs and, in some cases, culprits can be arrested. It’s clear that when learning a new language, it doesn’t take long to encounter cultural differences. These differences not only dictate how to speak to a native speaker but also depict the world view of their culture. While it’s not impossible to learn a new language without gaining cultural insights, if you want to increase your chances of mastering it then diving into the culture of the language you’re learning can be the key to a more enriching and faster learning experience.